Want to get involved in this year’s Macnas parade in Galway or Dublin? 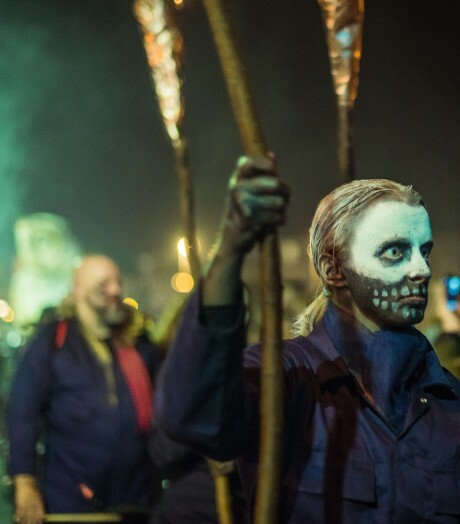 We’re looking for people to help us with stewarding and helping to get our Macnas giants down the winding streets of two fine cities, as well as make up artists who can help transform our performers. To apply as a steward or float pusher at the Halloween Parade in Galway on Sun 28th October, click here. To apply as a steward or float pusher at the Dublin Halloween Parade on Mon 29th October, presented as part of the 2018 Bram Stoker Festival, click here. If you’re interested in volunteering as a make up artist in either Galway or Dublin, click here.